The Daniel Defense MK18 Pistol is a lightweight, compact firearm, equipped with the MK18 rail system featuring the Bolt-Up System which has been rigorously tested prior to fielding by USSOCOM. The 10.3” barrel is the same length in use for the MK18 upper most commonly used for close quarter operations. The MK18 is unmatched in size, weight, and performance. 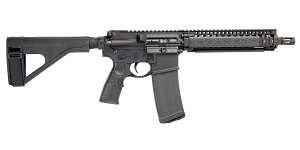 This pistol features the SB Tactical pistol stabilizing brace. 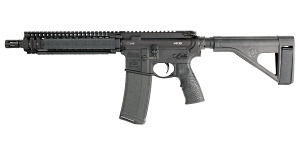 Comes with one 32RD Daniel Defense Polymer Magazine, manual, and hard case.